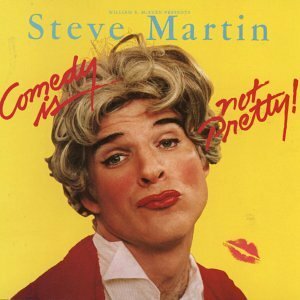 STEVE MARTIN, as standup and recording artist, was the most famous magician-musician-comedian ever. Seriously. nd he really is a serious guy, behind the "Wild & Crazy Guy" persona. He studied philosophy, which taught him to question everything. Even his comedy act. As he was breaking in, he decided to break the mold. He wondered What If... you did standup without setups and punchlines? Without indicating where to laugh? Would laughter come more naturally, be more real? It wasn't easy at first. Being different rarely is. But he stuck to his decision to take a new direction in the early 70s. 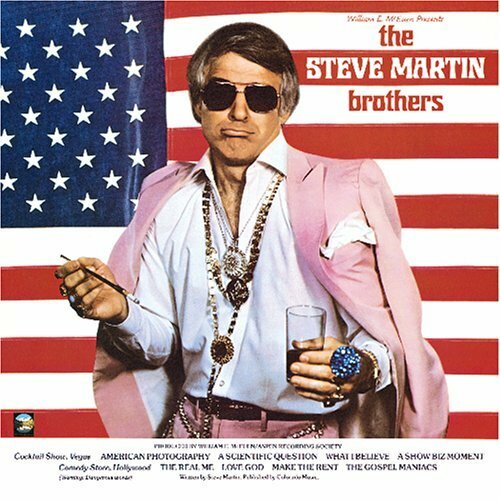 In the late 60s, Martin wrote and performed on TV (Smothers Brothers being the show most important to his career). It was the Great Age of Political Comedy - but when he turned to standup, he broke away from the prevailing style (topical newsy routines) to do satirical non-political material with a visual-aural dimension. 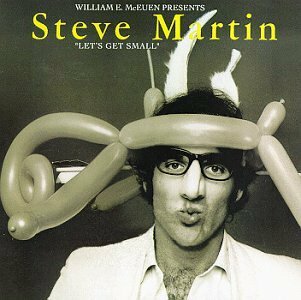 His act, on the surface, may have seemed like hack comedy overkill (balloon animals, arrow through the head, rabbit ears, Groucho nose & glasses, banjo) but all along he was lampooning that type of comic while shooting arrows of hilarious lines at his audience. Sure, there were actual jokes (with punchlines) here and there, but throwing them into a mix of magic, music and childlike absurdity was new, fresh, weird and wildly successful. 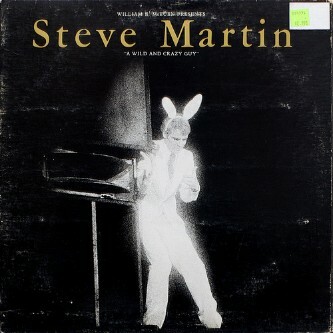 Steve became the top comic in the world by the late 70s. 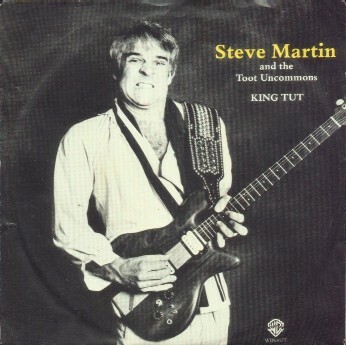 He even had a Top 40 hit with his musical comical homage to the Boy King, "King Tut" (got to #17 on Billboard in 1978). Steve performed the song in Egyptian garb on Saturday Night (Live!). Some say SNL helped launch his career, but it was vice versa as well. And during his entire career, there was always Martin's ever present banjo, which he played superbly in support of his comedy (and which he is focusing on more now, as evidenced by his recent bluegrass album). But as good as his music and magic skills are, we'll always love his absurdist comedy best.